Aussie scientists are taking 'telepathy' to a whole new level. Forget Siri and Cortana. Soon, you may be able to give commands to machines just by “thinking” them. A team of researchers and engineers at Melbourne University are developing a stentrode, a tiny implant to be placed into a blood vessel next to the brain, which can record electric activity from a specific part of the brain. The information will then be decoded and interpreted into thoughts. Dr. Tom Oxley, research lead, said the study is purely focused on harnessing the possibilities of bionics to improve the medical industry, particularly in the treatment of paralysis and epilepsy. 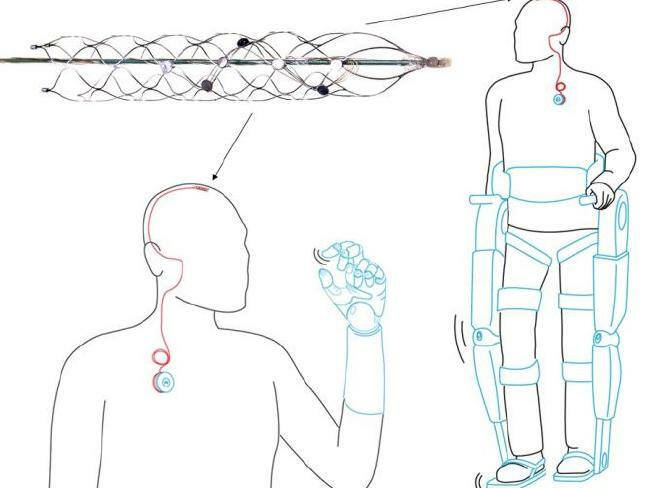 Using the stentrode implant, people who are suffering from paralysis or severe spinal cord injuries can use their thoughts to control the movement systems attached to their bodies, allowing them to interact with their surroundings again. Another goal of the study is to find out what’s happening in the brains of people who are having uncontrollable seizures and be able to predict and address the issue. The team has to develop a custom-fitted decoding algorithm to translate the electric brain activity into useful information. To date, the research team says they have already recorded successful results during animal trials, which were published in the journal Nature Biotechnology, and are keen to get started in human clinical trials by 2017.